Learning OpenCV puts you in the middle of the rapidly expanding field of computer vision. Written by the creators of the free open source OpenCV library, this book introduces you to computer vision and demonstrates how you can quickly build applications that enable computers to "see" and make decisions based on that data. Computer vision is everywhere-in security systems, manufacturing inspection systems, medical image analysis, Unmanned Aerial Vehicles, and more. It stitches Google maps and Google Earth together, checks the pixels on LCD screens, and makes sure the stitches in your shirt are sewn properly. 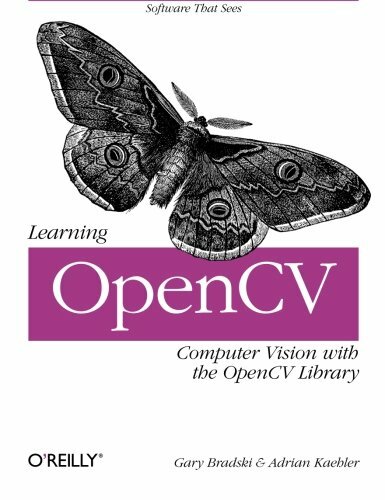 OpenCV provides an easy-to-use computer vision framework and a comprehensive library with more than 500 functions that can run vision code in real time. Getting machines to see is a challenging but entertaining goal. Whether you want to build simple or sophisticated vision applications, Learning OpenCV is the book you need to get started. If you have any questions about this product by Gary Bradski, contact us by completing and submitting the form below. If you are looking for a specif part number, please include it with your message.